You know what else takes longer? Collaborations and delegating. I often meet prospect couples who seem to expect that by working together they will save time, meaning that my help will allow them to plan everything in less time than they would on their own. I am afraid this expectation is somewhat unrealistic. If you dedicated all of your free time to plan your wedding items would probably get checked off the list much sooner, you could make decisions directly, and choose to focus entirely on your wedding project until it’s complete. It might not always be the case, but it could. The fact is, the moment you decide to delegate planning your wedding to a consultant, you are trusting every activity with a third party who will need to check with you before executing, and who is at the same time working on other projects whose timing might or might not overlap with yours. Unless of course you pay for exclusivity, which is naturally very expensive. Oh well, so what’s in it for us, you will ask? Well, quite simply, the help of a professional with years of expertise, who has access to many many more resources than the ones you would be able to access on your own, but most importantly who is able to advise you on what to do. Somebody who is capable of turning estimates and ideas into a smooth event, solving problems while you enjoy your day. That’s why I trusted my brand and website in the capable hands of a few professional ladies. Could it have taken less time for me to buy a logo template on Creative Market and customize it with a nice font? Could the website design be somewhat more straightforward if I’d bought a WordPress template and tweaked its colors and fonts? Very likely. But I would have ended up with an amateurish result, something that I would have probably needed to redo in 12 months. And I wouldn’t have been able to work for my clients as the brand and website were developed. In short, it would have been contrary to my philosophy of working on your side aiming at excellence. Did it take a few months? Did I go through quiet days when I wished the work proceeded faster but my vendors were busy on other projects and I had to wait? Yes, as it’s normal. I made peace with it, and I wore my clients’ shoes for a while, and what I learnt will come make their own experience with me so much better as a result. Thanks to Nydia‘s work, the new brand image has been around for a while already. You might have spotted it on some of my online material and on Instagram. But you know how shops open and have their official opening event way after that? Well, I wanted to take time to introduce the new brand image properly before celebrating its launch. We’re almost there, so expect a party announcement soon! Changing your brand image is a pretty weird experience, especially when you are basically everything that’s behind your brand. It feels like changing clothes size, haircut, hair color and moving house, all at the same time! Changing your brand image requires to rethink and examine your identity, and then showing everything to the world and meet their reaction. I chose to have a new logo made that represented my unconventional approach to my business as closely as possible. In it, you will find my love for bold colors and big personalities, the swagger that carried me through so many projects, the ideal of freedom that I embraced as fatamadrina, and how much my clients are worth to me. Much like every time I pick an outfit that means a lot to me, I’m afraid many people won’t fully appreciate this new logo. But the more I think of it, the more I feel this will still be a great result. fatamadrina doesn’t have to be liked by everybody, it only needs to resonate with those who need her. Oh, if only I could let you in my head and you could feel the excitement of this new website! To me, it feels like a big house with wide open windows, where we can wander and dream and create things together. I really love it, and the process that took me here proves that when you already have an online presence there’s no point in hurrying to redesign a new website every year in a few days. It’s so much more rewarding to take the time to do things properly and with the long run in mind. The absolutely best decision I made regarding the website was hiring Francesca and her team. Not because she’s my friend (that’s a bonus), but because although she had worked with other colleagues and wedding industry peeps she managed to create an entirely original website for me. She made it entirely custom, approaching the project without prejudices or pre-designed formats. In short, she shared my work philosophy. The website you’re navigating employs the WPML plugin to provide different content to different audiences. Please don’t be put off by finding out that a page is only available in Italian, or that the content is very different from one language to the other. 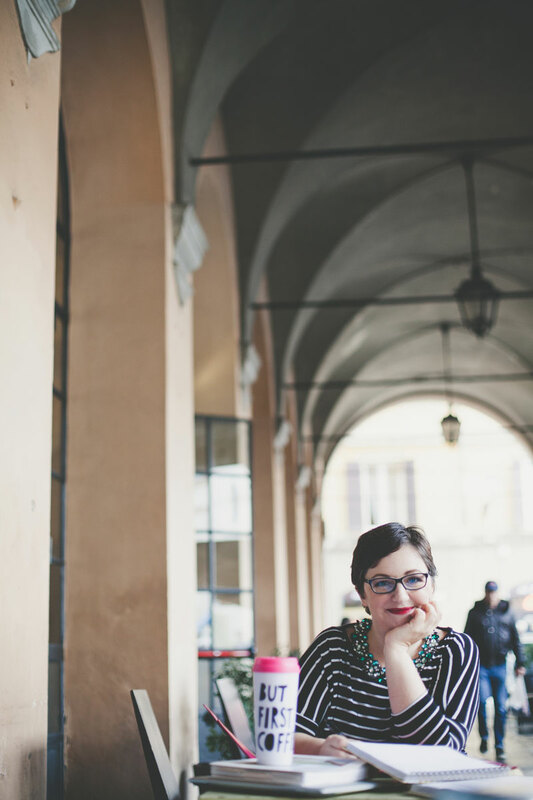 The reason behind this is that your needs as a non-Italian are greatly different from the ones of my Italian clients, and I wanted to make sure that the content you found was entirely relevant to you. I now it’s very very difficult to imagine what working with me will be like, and that is why I enlisted Tatiana‘s help to make sure every page on this website provided useful resources answering your most pressing questions. Also, I asked Sara and Chiara to take pictures of me and my work life, to allow you a real behind the scenes look at how I work. The result of all this work is finally here, and I would love to hear what your think about it. Want to make the navigating experience really feel like you’re in the office with me? Raise the volume on this soundtrack. 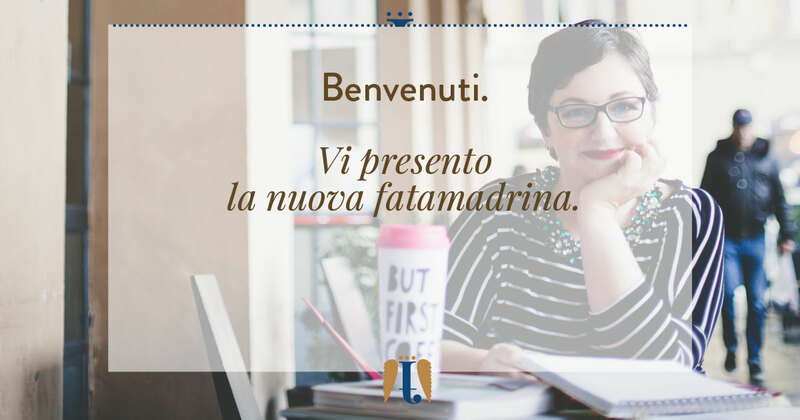 Welcome to the new fatamadrina.